Blood plasma product is the extracted portion from the blood using fractionation process to deliver products rich in plasma proteins. These products are used as body fluids, antibodies and clotting factors in medical industries that aid in treatment of chronic ailments like auto-immune disorders and haemophilia. The global blood plasma product market is expected to witness a significant growth during the forecast period due to the high demand by a large pool of patients with no alternative therapeutic approach. Blood plasma product have a wide range of components that have clinical use such as, Albumin, Factor VIII, Factor IX, immunoglobulin, fibrinogen with their major applications in bleeding disorders (haemophilia, immunological disorders), massive hemorrhage and in traumatic injuries. Moreover, the presence of biomarkers in plasma adds to their application in clinical diagnosis of diseases. These factors will drive the growth of global blood plasma product market in future. 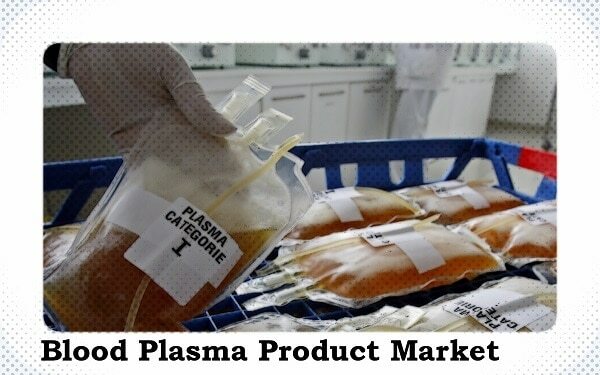 The global blood plasma product market is categorized on the basis of product, application and end user. Based on product, the market is segmented into albumin, coagulation factor concentrates, immunoglobulin, protease inhibitors, and others. Immunoglobulin, which includes intravenous immunoglobulin, subcutaneous immunoglobulin and others held the largest share in the global blood plasma product market in 2016. It has major contribution towards the growth of the market as compared to other segments. The major factor driving this growth are rise in prevalence of neurological and immunology diseases, rising off-label use of intravenous immunoglobulin(IVIg) and increasing practice of subcutaneous immunoglobulin(SCIg) because of its ease of application. According to a report by World Federation of Haemophilia, there are 304,362 people suffering from bleeding disorders such as, haemophilia, von Willebrand disease and others. The statistics depict 5.6% increase in prevalence of diseases from 2014-2015. The present therapeutics involve a continuous supply of plasma product as supplement. This increase in prevalence of bleeding disorders will drive a positive impact on the growth of the market during the forecast period 2017-2023. Moreover, government and private organization support blood donation programs to meet the rising demand of plasma, which will further drive the market growth. The growth of geriatric population results in the increase in prevalence of age related diseases such as, kidney disorder that requires blood plasma product as a therapeutic. These factors will drive the growth of the global blood plasma product market. Geographically, North America held the largest share in the global blood plasma product market in 2016, followed by Europe. North America was the prominent market for the blood plasma collection, fractionation and product formation. Asia Pacific global blood plasma product market is expected to witness the fastest growth during the forecast period (2017-2023). The growing geriatric population and the increase in prevalence of blood disorder diseases are the factors responsible for the growth. Some of the key players in the global market are Shire Pls., Octapharma AG, Kedrion S.p.A, Biotest AG, China Biologic Products, Inc., Sanquin and LFB S.A.